Does anyone have any updates on the team or what people close to the program think about this years squad. Not trying to bust your chops, but a quick search would have found recent discussion instead of starting a new thread. Spring baseball is a little more than a month away. Considering there are always a billion threads about football, I don't think it's a bad idea to start a new thread discussing Cowboy Baseball as we move into the spring. Actually, they should probably just call it winter baseball, since we start Feb. 15th. And to answer the OP, I have no updates, but I would love to hear from some people who have them! I heard from the ticket office.. there is special ticket pack being printed up for season ticket holders due this being the final season in Allie P.
Looks like they're going to have some pretty cool stuff going on this year. This year's infield will be intriguing. Lots of new faces, but loads of potential. Holliday on Factor: "Cross had an outstanding senior year of high school at Yukon and a strong freshman season at Cowley County – his is a similar path to Garrett Benge, who played so well for us a few years ago. He's a very good athlete who can on the infield or anywhere in the outfield. He has a good left-handed swing with power and is a guy we're looking forward to developing who has a chance to contribute right away." Holliday on Garcia: "Alix is a power-hitting first baseman who had two really strong seasons at Central Arizona, which is one of the best junior college programs in the country and has a great tradition of outstanding hitters. His coach, Anthony Gilich, feels like Alix is one of the better pure hitters to have come through their program over the years. He brings a knack for finding the barrel, and he gives us a good experience right-handed bat." Holliday on Morrill: "A very talented, very versatile player who has the kind of baseball skills and acumen to play any position on the field. He'll work primarily as a middle infielder and a pitcher this year. He has some pop in the bat, a very good base runner, outstanding throwing arm and has tremendous skill on the mound. He's a definite two-way player for us who we expect to have a huge impact on our program." Holliday on Navigato: "Andrew had an outstanding sophomore year at Cuesta College. He's a very smart, heady middle infielder who can play second and short and is skilled with the bat in his hand. He'll be competing in the infield, and we're very excited about the talent and depth he brings to this ballclub." Holliday on Northern: "Jake is a kid we've been aware of since his high school days, and he had a big career at Connors State, where he produced great offensive numbers. He's a physically strong kid known for his high-level competitive spirit and work ethic and he's a great fit here. He really aligns well with our program's toughness, and his ability to put the ball in play and hit with power is something that made him attractive." And one other potential big time bat that I'm interested in where he lands the most innings is Jake Taylor. I wonder if he could factor in at 1st or 3rd some this year, since we have pretty good depth at C with Bryce Taylor, Simpson, and Spiegel. I can't really say why, but I'm really excited to see what Morrill and Northern bring to the table. Morrill is just a special athlete, and Northern could be a big time power bat for us. The one thing I am super excited about is the potential of a weekend rotation that looks like this Jensen Elliott Friday, Logan Gragg Saturday, and Mitchell Stone Sunday. That has the potential to be one of the better weekend rotations not only in the big 12 but in the nation. Totally agree, and if they stay healthy (fingers crossed), this will finally allow other high quality arms to slot into higher leverage bullpen roles. The pitching injuries the last two seasons really derailed those teams more than most think. Anyone have info on how Parker Scott is doing? Will he finally be able to contribute this year? The transfer catcher from Stanford who played High School at Cascia Hall is the best defenive catcher on the team by a substantial margin. The Freshman from Pennsylvania is good, but I don't think he's ready offensively. He didn't hot much at Stanford but he is very capable of being a very good offensive player. He is also a left handed hitter and had a couple good scrimmages offensively. I think Colin will be the swiss army knife where he plays some left field, some first and catch a little. Simpson at 1st? Can't really picture that. I think Funk is going to get some time at 3rd. He's an excellent defender, but the key will be how much range he gets back with his knees healing. I think he'll be quite a bit more mobile this year because he'll be more healthy. Garcia has a really long swing and I think is going to find that he has some adjustments to make. McCusker, Boone and Cabbiness are our best outfielders. Cabbimess struggled mightily last year, but is going to get every chance plus some to prove himself this year. In the end, I don't think Colin will end up starting at catcher or the outfield and I don't think he'll be real fired up to just DH, so I think Josh will move him around to keep his bat in the lineup. Simpson played a lot outfield, I believe in left this summer in the cape cod league with Tom Holliday as his coach. I think because they feel if he is going to have a future in pro ball it will not be a catcher. So I would expect him more in the outfield rotation and DH than behind the plate. Perfect Game released there preseason top 25 todays. Cowboys at 18th, there are 3 big 12 teams ahead of them Tech at 5, Baylor at 12, and Tcu at 16. Baylor is there because of their pitching. We are where we are because of our pitching too. If our new infielders hit like we think they might we could move up quickly. Gonna be fun to watch! Both rankings that have come out have been very fair to us IMO. I would have put us in the 15-20 range myself. We still have a lot to prove to even come close to cracking the Top 10, but I do feel that we return enough experienced talent from a group that finished 2nd in the Big XII and made it to a regional final that we should be a Top 20 team. Ptak you are as in tune with the baseball program as anyone on this website, what are your thoughts of what 2nd, SS and Third look like this year. I would fully expect Funk at 1st and Carter behind the plate. I have to admit that I'm really not plugged in directly. I have no inside sources or anything. I haven't even had the opportunity to attend a fall scrimmage that last 2 years. The only real knowledge I have of the program is from what I can find online. So, with that, I can't tell anything about what the infield might look like except for what mattbob has already stated on this board. With that said, I'm hopeful that Hewitt can show what he's really capable of, because he really didn't look that good in limited action last year. But, I think he has a whole other level there. I know that Coach Holliday was really impressed with his contact hitting ability when he brought him in. He just needs to reach his potential. It sounds like Navigato is playing very well too. Throw in the arm and athleticism of Morrill, and I think any combo of those 3 is probably going to be your starting middle infield. The fact that Funk saw some time at 3rd in the fall and that Jake Taylor saw some time at 1st tells me that the coaches probably knew then that Neustifter had a foot out the door. I would imagine that Taylor and Garcia could be very capable at 1st, and I'm hopeful that Funk can play 3rd well enough. Two others who have the potential to step in and contribute at the corners are Jake Northern (who I think has monster potential with the bat) and Cross Factor. The outfield is pretty much set with Boone, McCusker, Cabbiness, Sifrit, and Simpson in LF some, and we have a boat load of arms this year (if they stay healthy.... knock on wood). And, if the arms are available, I have no doubt that Coach Walton will do an excellent job of finding the proper role for each pitcher. Should be a fun year! I am really excited about factor and northern, both have very good offensive numbers coming out of juco. I hope they both can live up to there potential and numbers they put up in juco. Why they’re here: Stable of horses. The Cowboys are excited about the return of Jensen Elliott, who hasn’t pitched since early in the 2017 season after being an integral part of their run to the College World Series in 2016. Junior college transfer Logan Gragg went 6-0 with a 2.06 ERA for Connors State last season, while Mitchell Stone red-shirted a season ago after making a pair of brief outings. Joe Lienhard is the primary holdover from the 2018 staff, and this quartet has some impressive size with the ability to throw hard and challenge opposing hitters. Sophomore lefthander Parker Scott also missed all of 2018 due to injury and is expected to be a significant contributor out of the bullpen this coming season. Difference maker: Colin Simpson. Simpson has hit .277-11-40 and .280-18-51 the last two seasons in the middle of Oklahoma State’s lineup and he has returned for his senior season. While he has played catcher and first base, he expected to play regularly in left field this season where he’ll be able to focus on his hitting exploits as part of a physical lineup that includes 25 returning home runs from the bats of Carson McCusker, Trevor Boone and Christian Funk. Fun fact: Huey (Hueston) Morrill, a talented and versatile athlete, can literally play anywhere on the field while throwing from the low-90s off the mound. 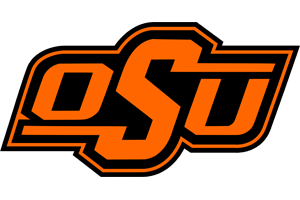 He’s expected to be Oklahoma State’s shortstop and leadoff hitter from Day 1.